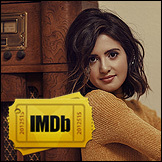 The film — based on the New York Times best-selling author Alyson Noel’s award-winning young adult novel — stars Vanessa Marano, Laura Marano, Giorgia Whigham, Ken Jeong, Michael Provost and Nathanial Buzolic. Blue Fox Entertainment has taken worldwide sales rights to teen thriller Saving Zoe, while also picking up domestic distribution rights. Blue Fox’s international sales team will begin introducing the film to buyers at the AFM, while the company’s domestic distribution arm is planning a 2019 theatrical release. The deal was negotiated by Blue Fox Entertainment’s Todd Slater with Paradigm’s Meghan Oliver negotiating on behalf of the filmmakers.